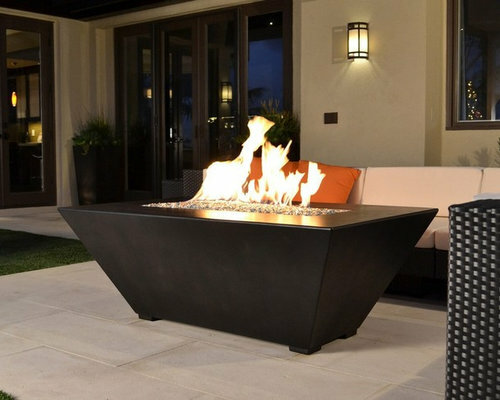 There's nothing better than gathering around a warm fire with friends and loved ones. 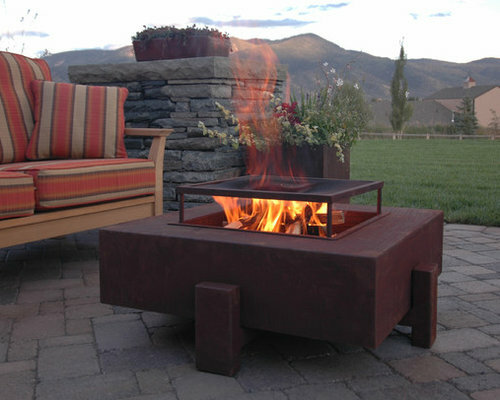 Adding a fire feature is a great way to utilize your outdoor living space year round. 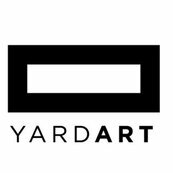 Creating an outdoor space you can enjoy year round day and night. This Legacy Round Fir Bowl is made from GFRC, so it's fairly lightweight. 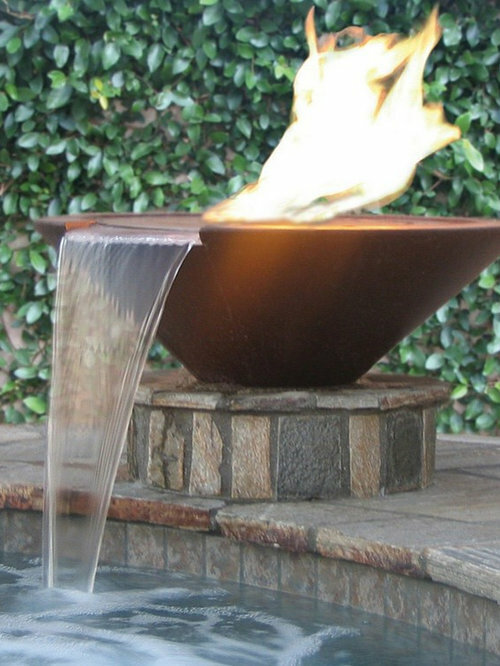 Adding a water feature with fire to your outdoor space makes a stunning statement. 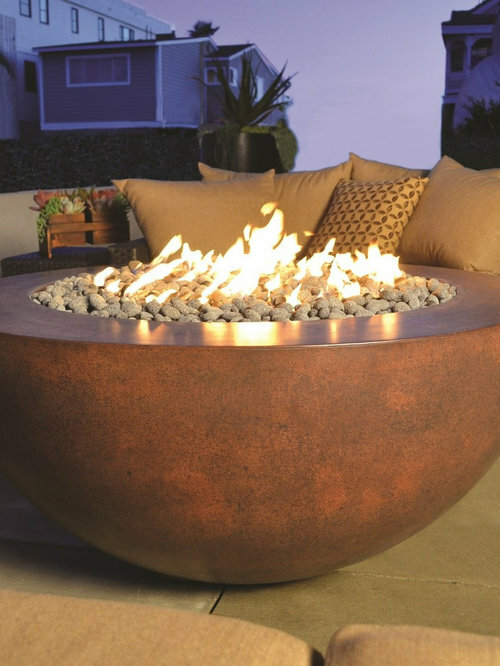 This is a glass fiber reinforced concrete bowl that recirculates water and includes a fire kit. 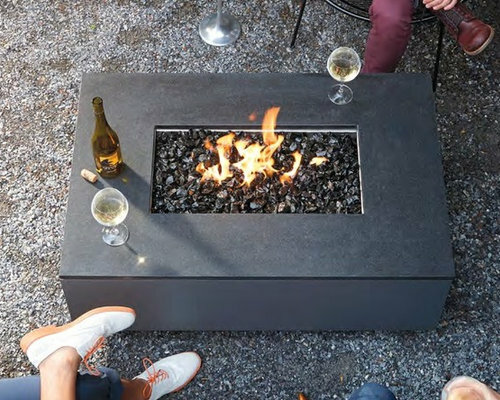 Stay warm and cozy on cool fall nights or during the winter by snuggling up by this modern fire pit.